Your mouth, jaw, and body developed together over millions of years. They are designed to operate together at peak efficiency. When you lose a tooth, the efficiency decreases and function suffers. When you lose a tooth, you lose some ability to chew food properly. This may mean that you either place more stress on the other teeth in order to chew all the food you eat, or you do not chew well enough and what is swallowed is not quite ready to be digested. This can lead to digestive difficulty. You might have to eliminate certain favorite foods because you cannot chew them thoroughly. For each missing tooth, you lose approximately 10% of your remaining ability to chew food. he teeth on either side of the missing tooth space will move and tilt off their proper vertical axis and drift into the missing tooth’s space. 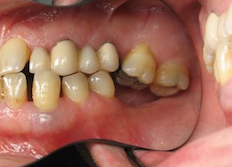 This can make these teeth more prone to decay and gum disease because it is much harder to keep the teeth clean when they are not aligned properly. Root structure that is normally covered by gum and bone may become exposed. All this can happen if one tooth is lost. Other major problems can occur if multiple teeth are lost. 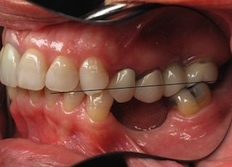 There is a loss of the arch length, the distance from the back of the last tooth on one side of your mouth to the back of the last tooth on the other side of your mouth. Extrusion and movement of your maxillary (upper) alveolar bone until the gum tissue from the upper jaw can touch the teeth or gum tissue of the other jaw causes loss of facial tone and shape. The facial muscles of the cheeks and mouth sink into the edentulous (extraction) site. There can also be severe cosmetic problems when the extracted tooth’s space is visible when you talk or smile. This is not a pretty sight to anyone. losing teeth, you can actually start to look old. Losing a tooth is pretty serious. The longer you wait after a tooth is extracted, the more difficult and expensive it can become to make the replacement you need. 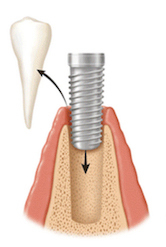 With very few exceptions, it is better to replace missing teeth as soon as possible. Evolution designed you to chew your food with 28 teeth. 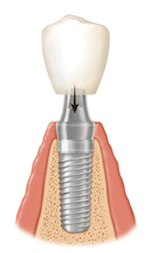 I will discuss with you the best type of dental implant replacement that will restore your mouth to health. My office is located in Burbank, California. You can choose to do nothing at all and leave the space or spaces…this is not usually recommended. 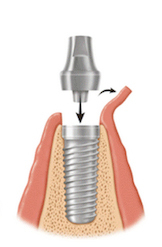 You can have a fixed replacement made that could be an implant, a conventional bridge (crowns/caps), a dental implant overdenture or a combination of implants and bridges. The advantages of the fixed replacements are that they are not designed to come out of your mouth at any time, they are the easiest to live with, feel more like the original teeth, and are more cosmetic than removable dentures. 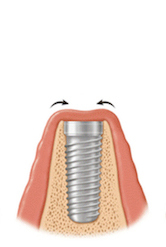 A removable partial denture is held in place by metal clasps that may be visible. It is bulkier and may interfere with your speech for a period of time. 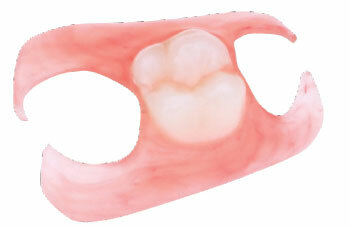 However, generally, dentures cost less than a fixed replacement. Your jawbone and teeth were meant to function in a particular fashion. The interaction is complex and marvelous. 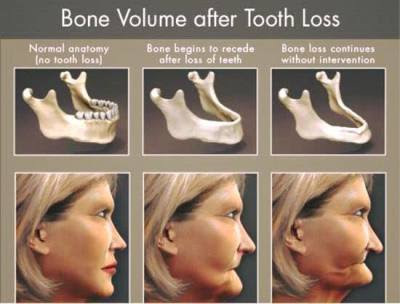 Loss of teeth degrades this function. Preserve your health. Replace missing teeth as soon as possible!